Legit Reviews found photos of a watercooling bundle for AMD's 8-core FX "Bulldozer" chips. It's unknown which models will be available with this cooler, which looks similar to the Antec Kuhler H2O 920. We knew that AMD was going to be releasing a water cooling kit for the companies upcoming Bulldozer FX Processors, but we haven't been able to get our hands on one yet to check out. 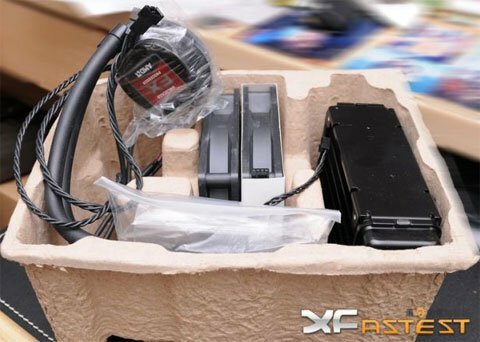 The Asian site XFastet has posted up four pictures of the new water cooler that AMD will be offering for improved cooling of the new 8-core processors.